Noel Ramos was a 15-year-old high school sophomore when she graduated from Kellogg Community College with two associate degrees in 2016. Ramos, pictured above, was able to do so through dual enrollment, taking up to five college classes in a single semester starting when she was just a high school freshman. “It really put me ahead and it was a great experience,” Ramos says today. Completing college classes while still in high school is a great way to earn college credits before graduation and shorten the time it takes to meet your goals. Whether you plan on earning a degree or certificate from KCC to give you an edge in the workplace or simply want to get your basic courses out of the way before transferring to a four-year school or university, the following three options for earning college credits while still in high school will get you where you want to go faster and, in most cases, without spending a dime on tuition. Dual enrollment. Dual enrollment is when a high school student enrolls in classes at KCC at the same time he or she is still enrolled in high school. Dual-enrolled students traditionally spend part of the school day in class at their high school and part of the school day in class on campus at KCC. The first step to becoming a dual-enrolled high school student is to contact your high school counselor and ask about dual-enrollment opportunities at KCC. More information about dual enrollment at KCC is available online at www.kellogg.edu/high-school-dual-enrollment. Early college. Like dual enrollment, early college programs involve high school students enrolling at KCC while still attending high school. Early college programs generally begin during the student’s sophomore year of high school and run through an additional “fifth year” extending one year after traditional high school graduation. 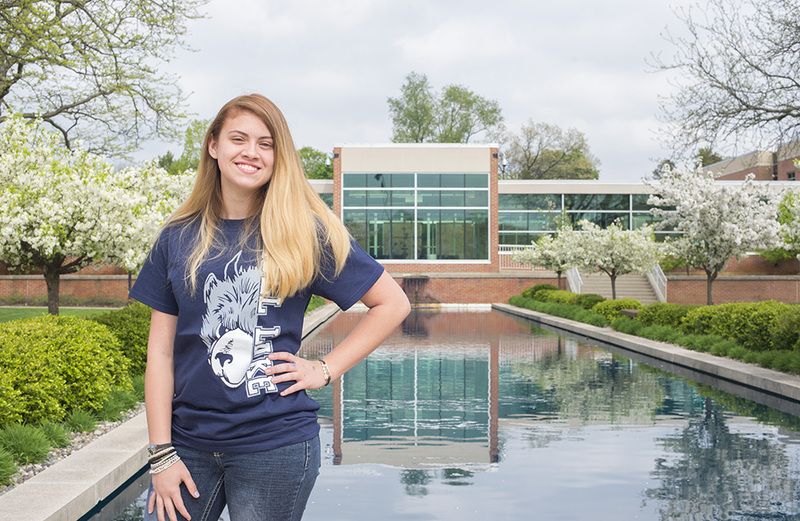 Early college students take a variety of KCC courses intermixed with their high school schedules and graduate after their fifth year with an associate degree in addition to their high school diploma. KCC currently has early college agreements with several regional high schools. For more information about early college opportunities offered at KCC through your high school, contact your high school counselor. For more information about early college programming at KCC, visit www.kellogg.edu/earlycollege. High school articulation. While programs like dual enrollment and early college involve high school students taking KCC classes for college credit, high school articulation awards college credits for classes taken by the student at his or her high school. A high school student who successfully completes an approved high school course with a grade of a B or higher and also completes associated competencies to demonstrate his or her learning to KCC’s Articulation Committee is eligible to receive college credits for the equivalent course at KCC. For more information about high school articulation, visit www.kellogg.edu/high-school-articulation. If you’re a high school student interested in taking advantage of one of the opportunities above now or in the near future – including next fall – now is the time to let us know! Contact us at 269-565-2042 or dualenrollment@kellogg.edu and let us help you find your path at KCC! For more news from Kellogg Community College, check out our KCC Daily blog at http://daily.kellogg.edu.